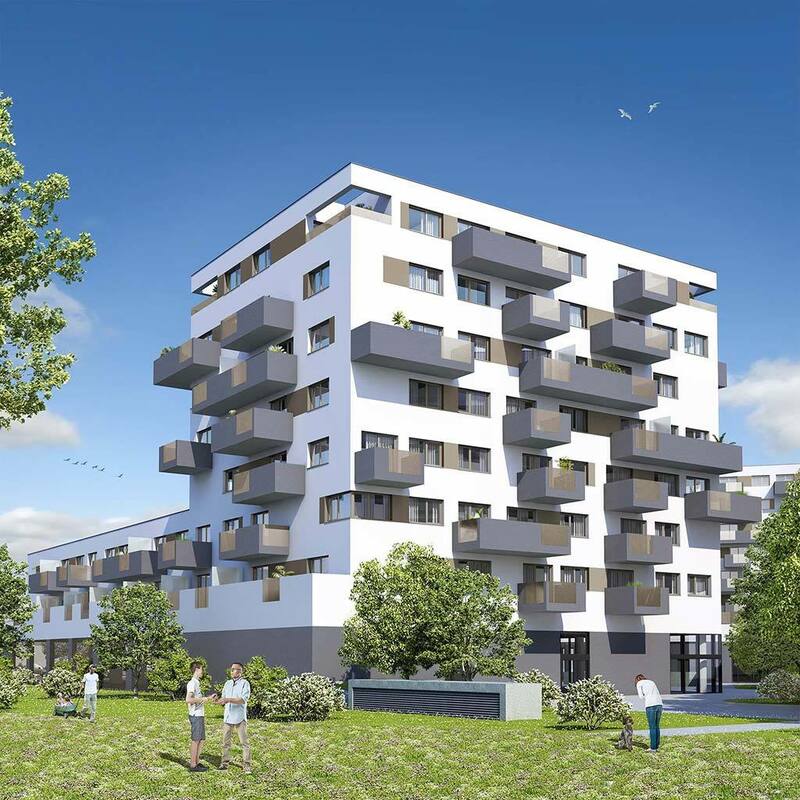 Der WOHNPARK STADLAU lädt zum Leben, Wohnen, Atmen, Ankommen, Trainieren, Relaxen, Entdecken, Einkaufen, Ausgehen, Spüren und Genießen ein – all das gepaart mit bester Infrastruktur und direkt im Grünen gelegen. In 2017, Vienna was selected as the world's most liveable city for the eighth year in a row. The cosmopolitan city has, thus, been since 2009, unchallenged at the very top of the Mercer Rankings and makes major cities like Zurich (2), Auckland (3), Munich (4) and Vancouver (5) "look old". Vienna is a place worth living in. Vienna is old. Vienna is new. And Vienna is multi-faceted. * In the residential park, a commercially used ground floor zone will be realized, creating numerous on-site infrastructures. * LOVT: Everyone who purchases an apartment from the Haring Group, is given two 1 year LOVT memberships as a present. 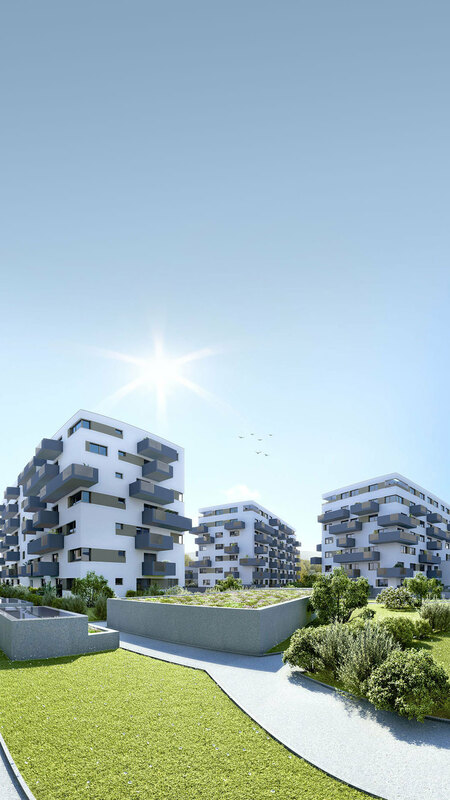 WOHNPARK STADLAU will be created in an upcoming part of town in Vienna's 22nd district. 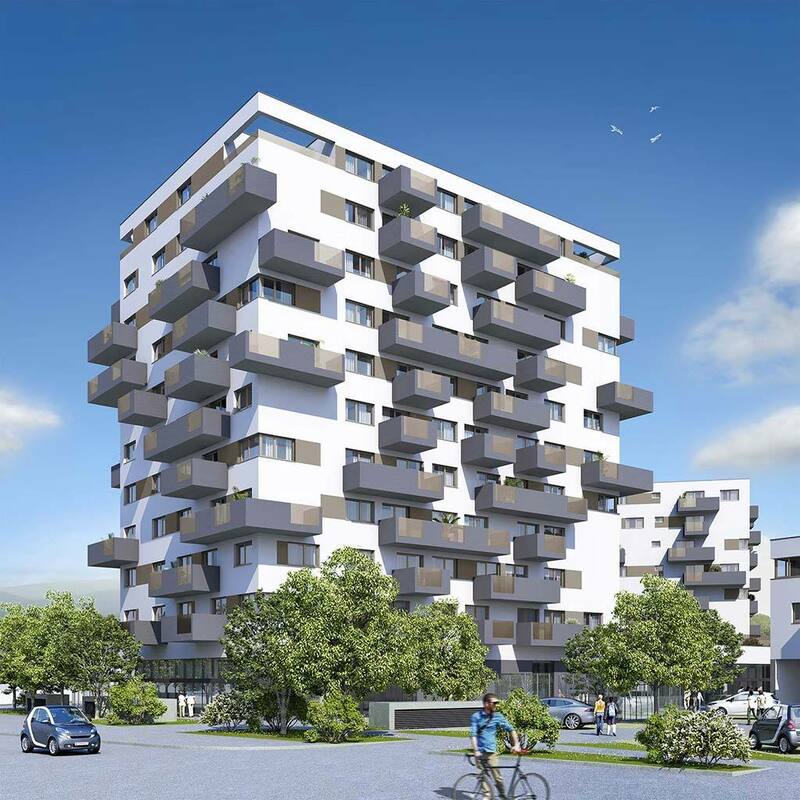 Conveniently located as regards transportation – excellent connectivity with the public transport network – six tower blocks with different heights shall be realized. The four to ten storey residential tower blocks are defined by their compact organisation and efficient use of resources. Four tower blocks – staircase 01 to staircase 04 – share a common ground floor zone making up a large proportion of the commercial area. The generous above ground floor area will be fashioned as a green residential park, perfect to come home to, to switch-off in, to relax in and enjoy. By virtue of the varied, commercial usage mixture of stores, restaurants and bars, as well as a fitness studio on the ground-level floor of the residential park, the residential storeys are located correspondingly higher, and as well as providing great views, thus, also offer peace and opportunity for retreat, and this in the middle of the city. The facade design and artistic styling of the residential storeys, furthermore, conspicuously differentiate them from the commercial areas located below them on the ground floor. 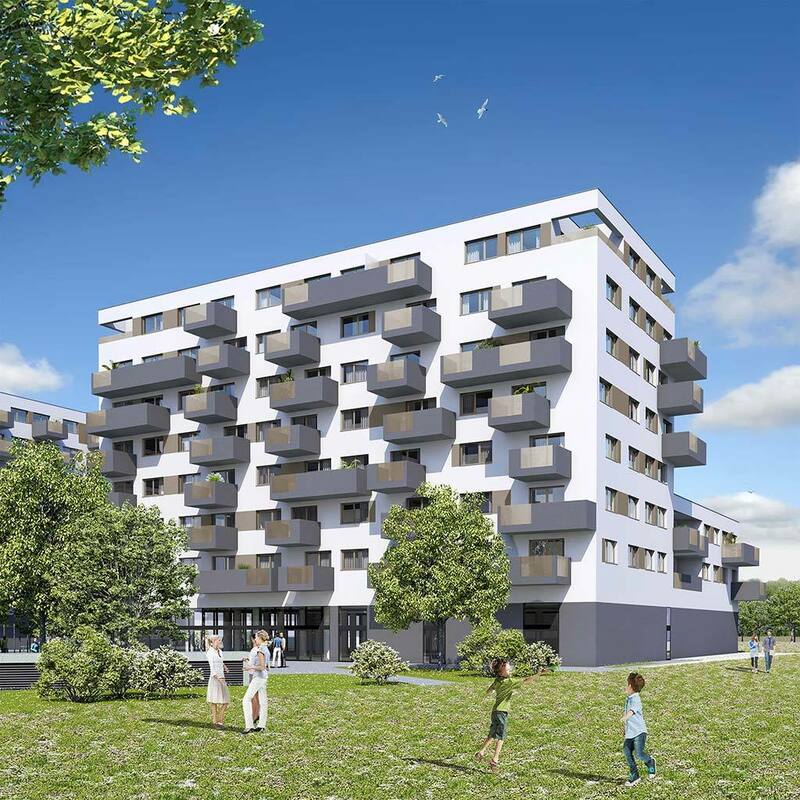 WOHNPARK STADLAU provides space for a total of 408 owner-occupied apartments ranging in size from 38 to 94 m2. All apartments have an apartment-related, private open-space space, such as separate gardens, terraces, loggias, balconies and roof terraces. The colourful housing mixture comprises 1 to 4 room apartments. A clear emphasis has, thereby, been placed on 2 and 3 room apartments. High-quality, sophisticated residential space with all the benefits of modern domestic comforts are to be created to provide a sense of well-being. The LOVT fitness studio, in which future apartment owners will be able to train free-of-charge for a year – and what's more, in pairs - furthermore, represents substantial value. According to the motto: purchase an apartment and be given an LOVT! The Haring Group builds on fitness and health. LOVT is the name of the Haring Group's new vision for the future. LOVT, a place with an open character, in which one meets and chats. Here one can share a passion for sport and movement. The LOVT story: Purchase an apartment, be given an LOVT! Everything we undertake, we do with pleasure and in a forward-looking manner. We create living space and fulfil life dreams. We provide people with homes. To find an optimum balance, and to promote our customer's quality of life, we, moreover, offer them fitness and health. In LOVT, everyone is warmly welcome. Everyone who purchases an apartment from the Haring Group, is given two 1 year LOVT memberships as a present. The LOVT offer: Your space for fitness – a place to arrive at – for mobility, power, stamina and balance. These components round off perfectly balanced fitness and, simultaneously, health – our most precious possession. Here everyone can do what's good for him, or her – or let us do what's good for you! LOVT studios: Every LOVT studio offers the newest equipment, both technically and functionally. As well as this, our highly qualified team work in accordance with state of the art sport scientific methods. 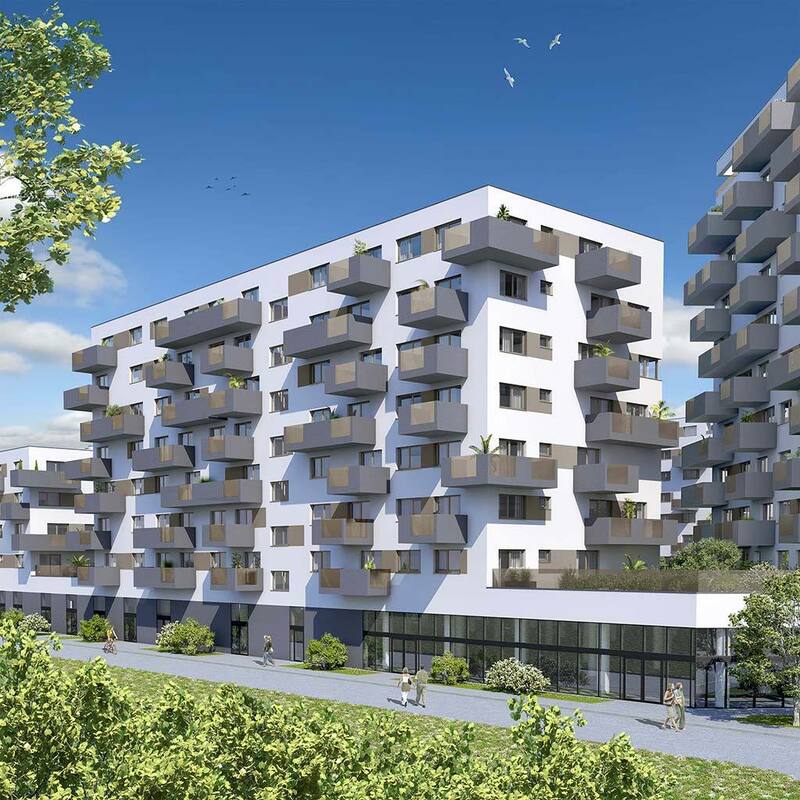 For the time being occupying an area of 1,800 m2 in the 21st und 22nd districts, very soon in other locations in Vienna. 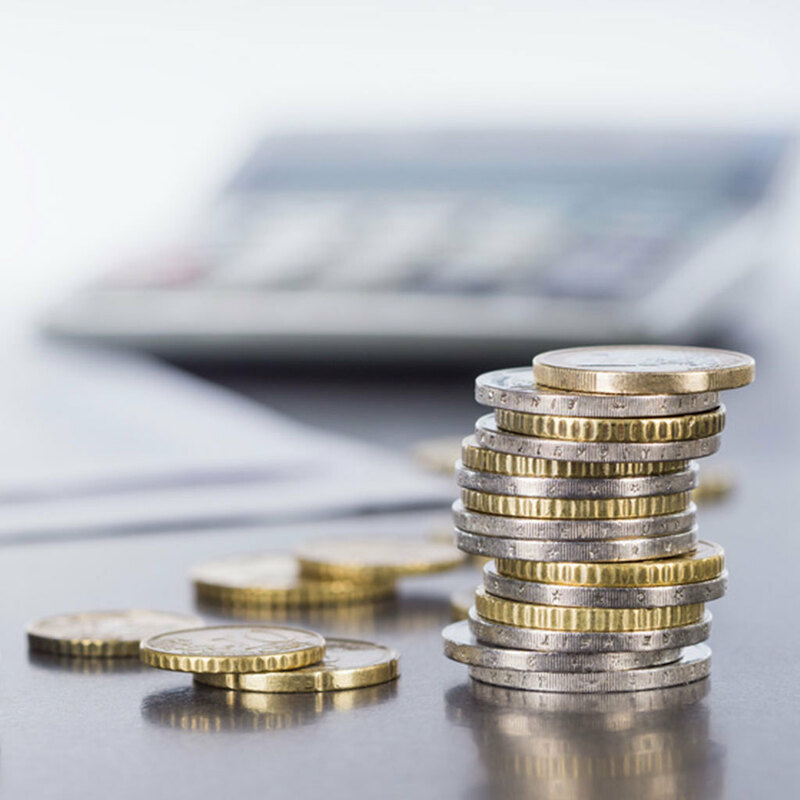 Real estate has long since become established as an investment model compared with conservative forms of investment. Low interest rates and economic uncertainty make investment in freehold-owned apartments, so-called investment apartments, very attractive. An apartment is a store of value "you can touch" and thus represents a high degree of security for investors. 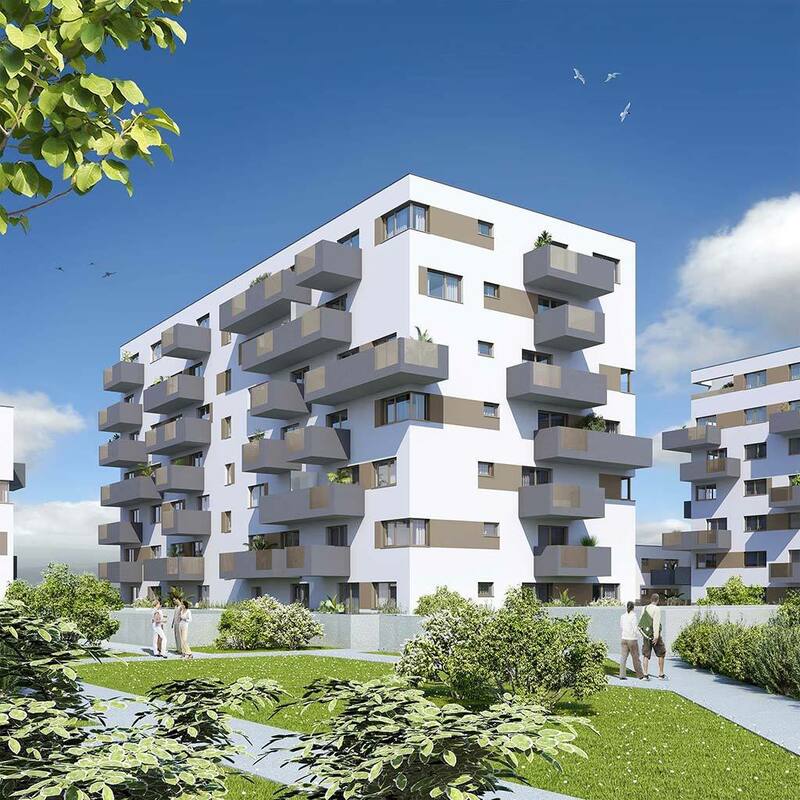 Austria continues to offer a very stable real estate market and demand for rental apartments throughout greater Vienna continues unabated. Construction projects in central locations offer multiple benefits to both investors and their tenants. Great value is placed on infrastructure, especially connectivity with public transportation and affordable living. According to the motto " all from one provider", you can therefore lean back and relax after purchasing your property – we take care of the rest and make your real estate dream come true. Good neighbourly relations start with good communication. Our sales team are pleased to be at your disposal at any time at verkauf@haring-group.at or on +43 1 20 35 700. Many years of experience, and our constant striving to stay "up-to-date", make us your ideal contact partner where your property is concerned. From first consultation, to the handing over of the keys, and beyond – your personal contact person will accompany you with pleasure along the path to your dream property, because we turn real estate dreams into reality. 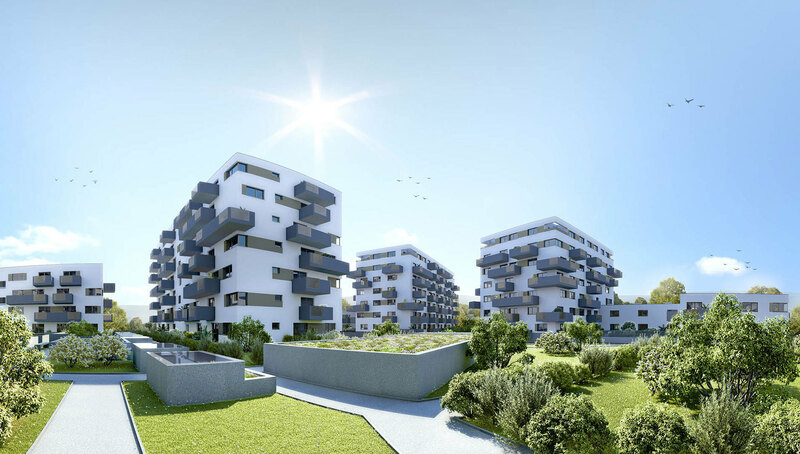 The Haring Group is one of the leading providers of company-produced real estate in Vienna. We have been focused on the integrated guidance of residential construction projects for around ten years – from building land acquisition, to full supervision of construction work, through to turnkey handover to the purchaser. Our projects are focused, on the one hand, on locations that are attractive in terms of infrastructure and quality, and, on the other hand, on achieving an optimal blend of all energetic, ecological and ergonomic aspects. Out default in the process is always an observation of state of the art with respect to technology, design and environmental compatibility. This makes it possible for us to provide you with top quality living – today, as well as in the future. The overarching synergies of the Haring Group are at the disposal of our customers at any time. Details regarding all current Haring Groups projects, as well as reference projects, can be found on our website.